Rainy conditions are not ideal for laying sod. If it is raining hard, the soil surface will be muddy. Footprints will create divots in the surface. In addition, carrying the materials and using a wheelbarrow in mud is difficult. The sod may have a difficult time rooting in these conditions. A light drizzle, however, should not affect the project. The key is to lay the grass when the surface is still firm to the touch. This will ensure the best results. Store the sod outside in the rain once it's delivered. Keep it moist or will quickly die. Remove weeds and other debris from the planting area. Fill in low-lying spots with soil. Rake until smooth and level. Loosen the top layer of soil with a garden tiller. Apply a starter fertilizer, such as a 2-1-1 ratio, to the planting area. Do not water the soil because the rain has added enough moisture. Carry the sod to the outside edge of the lawn, using a wheelbarrow if it is particularly heavy. Lay down a straight row of full strips of sod along the outer edge. Work toward the opposite edge of the lawn, using full strips as much as possible. Place the sod as close together as possible to reduce gaps and the appearance of borders. Cut the sod with a sharp blade to fit it in the desired location. Shape irregular pieces as needed by cutting away the excess. Overlap the sod over the border in corner sections. Return later to trim off the excess. Roll over the established sod with a 1/3 full roller. The moist conditions should prevent the roller from slipping. Watering the sod isn't needed, as there will be enough rain to moisten the top 6 to 8 inches. Wear rain resistant clothing and gloves when installing sod in wet conditions. 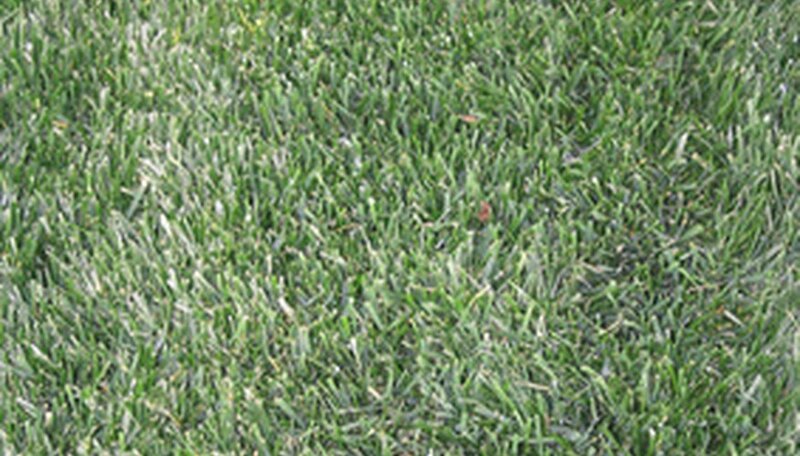 Use full strips of sod whenever possible--especially around the borders of the lawn. Damp or wet sod will fall apart easily. Lawnsite.com: Is It Bad to Install Sod in the Pouring Rain?